Your friends are fabulous, fun, and in their 20s. And let's be real, your friends feel like family. So whether it's a birthday, a holiday (Galentine's Day, anyone? ), or just 'cause she helped you with this big crisis in your life, you're scoping out simply awesome gifts for her. 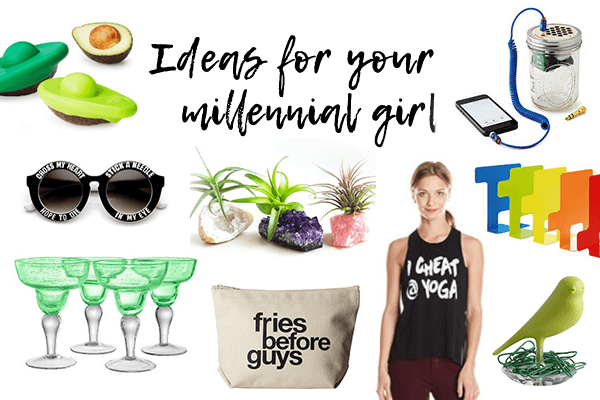 Here's your essential gift list of ideas for friends in your squad. And here's hoping friends share (because you'll want in on some of these gift picks!). If there’s one announcement we all dread, it’s hearing a good friend is moving away. Your mind suddenly flashes to all the dates and get-togethers and times that you’ve spent together. And how that’s all going to change. Ack! Changes like that can be tough, but now’s the time to show how much the friendship means to you. 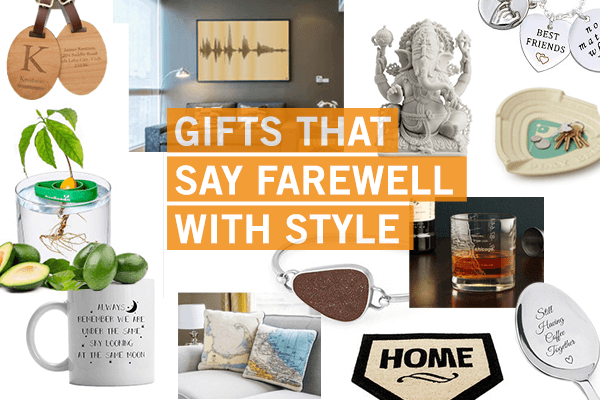 That’s why we’ve put together this complete list of farewell gifts for friends, so you can find something special o say goodbye. If you have a long history with your friend, play it up! A scrapbook of mementos from your lives spent together (concert tickets, airline boarding passes, a matchbook from your favorite restaurant) is a guaranteed tearjerker when housed in a handsome album - and thanks to digital technology, you don't have to part with the originals. Pictures evoke such heartfelt memories that they alone often make the best gift ideas for friends. Frame a photo from one of your favorite memories with your friend, or take it step further with an entire photos album. Yes, a physical one you can hold in your hands; remember those?! One of the great things about friendship is sharing something only the two of you get. Had a hilariously ridiculous time in another city? Buy your bud a memento from that place. Have a nickname for your pal? Get him a gift that reflects that. The meaning might trump the gift itself, and that's just fine. Sometimes the best gift ideas for friends are the ones that show how much you admire them. The perfect compliment? An accessory that complements your friend's style. And only you know what kind of scarf, jewelry, sunglasses would make her eyes light up with (genuine) delight. When it comes to gift ideas for friends, familiarity is the name of the game. For instance, other people might know he loves soccer and music, but only you know he's taken up an interest in TV and movie memorabilia. Capitalize on your inside knowledge; it'll only strengthen the bond you already have. Whether it's overseas, over state lines, or over in the next neighborhood, plan a getaway together. Vacation or staycation: Does it really matter when you're taking time out of your daily grind to bond with your best mate? Remember that time you talked about that thing you'd love to do or learn about together? Now's your chance to get the ball rolling, friend!